The Christopher & Dana Reeve Foundation is a registered 501(c)3 organization dedicated to curing spinal cord injury by funding innovative research, and improving the quality of life for people living with paralysis through grants, information, and advocacy. Habitat for Humanity of Greater Plainfield & Middlesex County is a nonprofit, equal opportunity, Christian housing ministry dedicated to helping low and moderate income families improve the conditions in which they live in the Greater Plainfield area and Middlesex County of New Jersey. Kessler Foundation is a public charity dedicated to improving quality of life for individuals with disabilities. Kessler Foundation bears the name of Dr. Henry H. Kessler, an orthopedist who founded Kessler Institute for Rehabilitation in 1947 to provide comprehensive rehabilitation for people with physical disabilities and to help them achieve maximum independence. Today, the rehabilitation research and community employment programs of Kessler Foundation continue Dr. Kessler’s legacy. Kessler Foundation maintains its charitable mission; Kessler Institute for Rehabilitation, the largest and most comprehensive hospital for medical rehabilitation in New Jersey, now operates as a for-profit institution. Kessler Foundation strives to improve the lives of people with physical and cognitive disabilities caused by stroke, multiple sclerosis, brain and spinal cord injury, and other chronic neurologic and musculoskeletal conditions. Over the past decade, Kessler Foundation has invested almost $50 million in the work of its Research Center, where investigators develop ways to help people with disabilities overcome obstacles to leading full and productive lives in our communities. Within the New Jersey Dept. 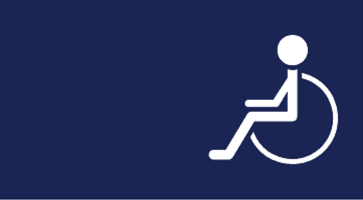 of Human Services, the Division of Disability Services (DDS) provides a single point of entry for those seeking disability-related information in New Jersey. DDS works to streamline access to services and information that promote and enhance independent living for individuals with all disabilities by facilitating coordination and cooperation among local, county, and state government agencies. DDS promotes maximum independence and the full participation of people with disabilities within all aspects of community life. DDS publishes New Jersey Resources, the most comprehensive guide of services available throughout New Jersey for people with disabilities. This directory is updated annually. The New Jersey Housing Resource Center is a free, online searchable registry of affordable and accessible housing units throughout the State of New Jersey. R.P. Marzulli Co., Inc. is a property management business that manages the two projects developed by New Jersey Connect: Freeman Apartments in Springfield and The Apartments at St. Elizabeth’s in Linden. The company currently manages 30+ properties with more than 2700 units. The Union County Office for the Disabled, under the Union County Dept. of Human Services, works to advance independent living and assists consumers with disabilities in realizing their full inclusion in all aspects of County life. The Office also promotes community-based living options.